Home Diving Travel Panama: The Secret’s Out! When it comes to diving in Central America, most bucket lists don’t normally start with Panama. 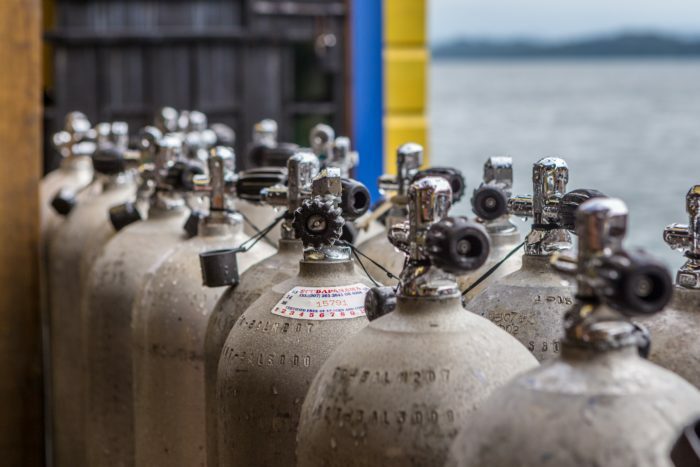 True, when compared with some of the more iconic scuba destinations in the region – including the likes of Costa Rica and Mexico – Panama, at least on paper, isn’t in the same weight division. However, there are whispers in certain circles that suggest the secret is now out. Despite not always being the first county to be circled on the gringo trail map, Panama can spar with the best of them because those who visit are finding untouched tropical reef and a growing number of like-minded divers intent on discovering this tiny country’s underwater treasures. Situated on the north east of Panama’s Caribbean Coast, just 32km from the Costa Rican boarder, the Bocas Del Toro archipelago is fast becoming the country’s premier dive spot. Made up of seven densely forested islands, numerous islets and Panama’s oldest marine park, Bocas – as it’s affectionately abbreviated to – has been the subject of a tourism boom of late. 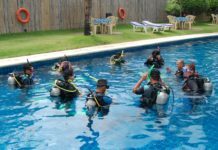 Helping supply demand, several dive operators have sprung up on Isla Colon, the region’s commercial center, over the past few years but none more qualified than Bocas Dive Center, the only PADI 5 Star IDC rated training facility on the island. 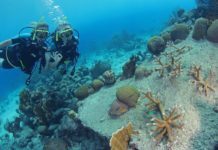 Diving here is varied – from shallow reefs just minutes from shore to sites suitable for technical training – but most of the 22 sites that are easily accessible offer the opportunity to dive in easier-than-most conditions. It’ll come as no surprise then that the year round warm waters (3mm shorty wetsuits are optional), minimal current, and shallow profiles make the whole area popular with Open Water students. Amongst the archipelago’s most popular sites are Polo Beach, the unusually christened Mark 19 (named after a buoy line) and deep dive training site Tiger Rock, which offers the opportunity for tech divers to submerge to near the 70m mark. Each site is different, not only in terms of their physical make up but also the marine life. From some of Tiger Rock’s most sought-after pelagic residents – including mantas and hammerheads – to nurse sharks and moray eels common at Polo Beach and vast schools of black snapper found at other sites, there’s something for most. Encounters with lobsters, octopus, and various macro life, including nudibranchs, is the norm throughout though.  Add world class coral into the mix, plus the fact that new dive sites are still being discovered all the time (the most recent being in 2014) and you’ll start to get a better understanding of why Bocas has recently started to attract a plethora of divers from all corners of the globe. No doubt the year-round average visibility, guaranteed to be around 15-16m, helps too. It’s no wonder then that Bocas Dive Centre (BDC) is currently in the middle of construction for a 25 room boutique hotel which will be attached to a state of the art Training Academy. Complete with two classrooms and the capacity to cater to some 30-40 students, from OW courses up, BDC is aiming for the new facility to be amongst the biggest anywhere in Central America. For now though, the Bocas region remains pleasantly untapped so divers looking for a location that’s off the beaten track but also offers that perfect cocktail of sun, sea and Caribbean chill factor could do far worse than making the trip to Panama before the secret really gets out. Bocas del Toro isn’t the easiest place to get to but once you arrive you’ll know it was worth the extra effort. All international flights arrive in Panama City, mostly via the US. From there, connecting flights with Air Panama take an hour. Alternatively, it’s possible to fly to San Jose in Costa Rica; Nature Air operates the one and a half hour hop several times a week. If you don’t arrive by air, you’ll have to take a water taxi from the port town of Almirante which is a 7 – 9 hour bus journey, depending on road conditions, from Panama City. 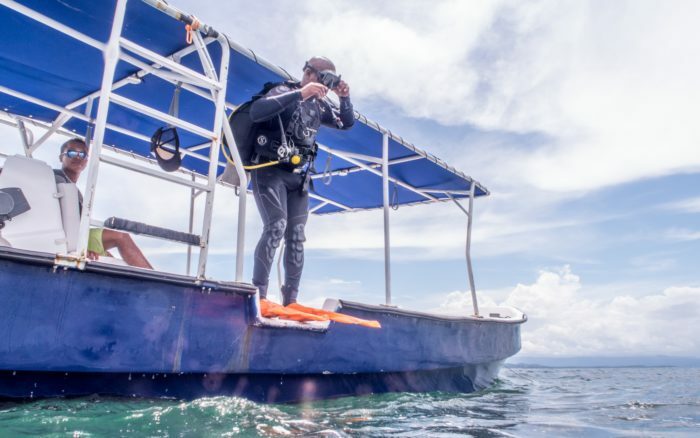 Diving in Bocas del Toro is a year-round activity, making it an ideal spot for training. December to April is considered peak season before seasonal rains come and stir the water a little but visitibility is generally always decent and current minimal. Panama uses US dollars so don’t be fooled into thinking that this is a country that’s as cheap to visit as some of the others in Central America. The laid-back Caribbean vibes of Bocas del Toro don’t hinder the efforts locals put into their food… Rather, Bocas has some of the finest restaurants anywhere in Central America. Most eateries are seafood based but the variety of gourmet restaurants – ranging from an Indian curry house to a German bakery – is mind-blowing for such a small town. FireFly Restaurant & Bar, OM Café and El Ultimo Refugio are great places to start. For American-influenced bar grub and a chance to mingle with the local expat community try Toro Loco. 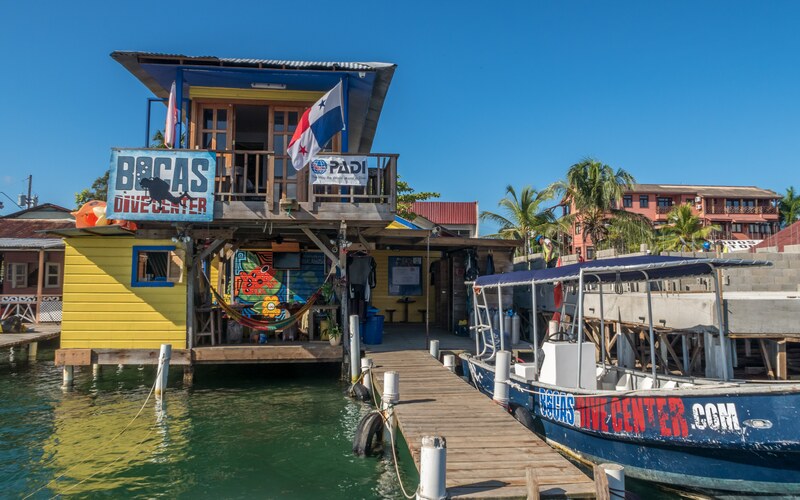 Started by Eddie Ibarra and American partner Gadi Cohen in just 2012, Bocas Dive Center on Isla Colon has already grown into the region’s most established dive operator. 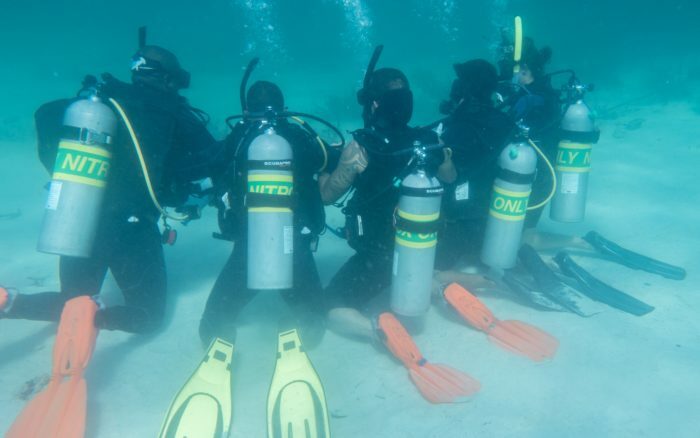 Now on a mission, Ibarra and Cohen have visions of growing their company into Central America’s largest dive operator. The overhaul is extensive and by the time construction finishes, Bocas Dive Center will also include a 25 room boutique hotel and a new, state-of-the-art Training Academy. Arguably even more important than their facilities and top-notch gear, the team here know how to run a dive shop, being total pros without loosing any sense of the fun-factor. Think laid-back but with supreme attention to detail and you’ll be someway to understanding the service provided. Stef Mallaci is a professional travel and adventure writer who has traveled to more than 50 countries on 6 continents. Since his first experience in Thailand, Stef has gone on to dive in locations including Galapagos, Philippines, Malaysia, Samoa, Mexico and Belize to name but a few. He has a particular affinity for sharks and has dived with great whites, bull sharks, hammerheads, and whale sharks amongst numerous other species. Follow his adventures on www.instagram.com/stefmallaci. Great Article. Went last year to http://www.redfrogbeach.com in Bocas and loved the diving. Saw a lot of soft coral and great food.